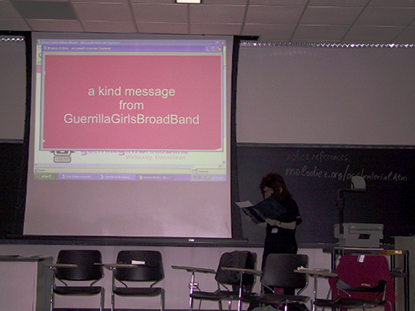 GuerrillaGirls BroadBand is available for interactive activist lectures and events. 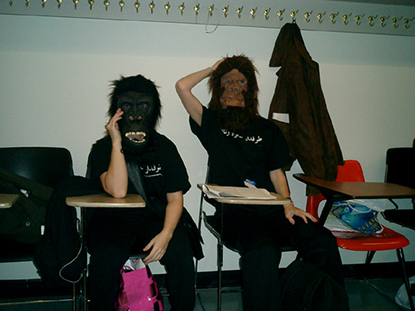 If you need some Furry Feminist Fury in your program, BOOK A BROAD! We generally travel in packs of 2. 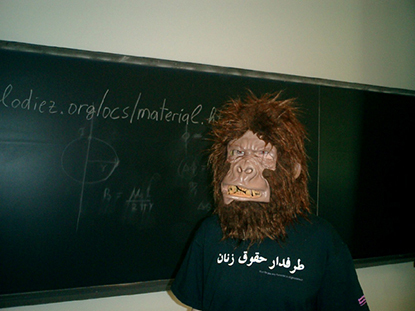 We love art conferences, women's studies departments, women in politics, social studies programs, Activists. Any Other Info or Requests?